Coconut oil could definitely be put in the ‘trend health product’ category, but for once, it’s actually become popular for legit reasons. And boy oh boy – are there a lot of uses for coconut oil! I’ve given most of theses a try in the last few months – there are only a slight few I haven’t tried myself. So let me know if you have!!! If you have any unusual uses for coconut oil, don’t be shy – let me know in the comments! #Note, coconut oil has zero cholesterol and zero trans fats, and can be ingested with food or just by eating a spoonful of the stuff. It can also be used as a butter substitute in baking, just make sure you’re okay with a little coconut taste. (Sometimes that’s good!) It can be used instead of olive oil in frying and roasting foods as well. Always buy pure unrefined coconut oil (extra virgin coconut oil) since it goes through the least amount processes and it’s closest to its natural state. Also, make sure that for cooking your coconut oil indicates that it can stand high-heat, not just medium heat. And for you oil pullers out there, do NOT spit it down the sink. It will clog your drains very quickly! 12. Coconut and kale smoothie – wowza! 24. Get our coconut oil early – add it to your coffee! 47. … and prevents diaper rash! 80. Coconut oil supports cell regeneration, so why not apply it to a bald head and see if it grows back? 88. Use coconut oil as a decongestant by rubbing it on your chest! 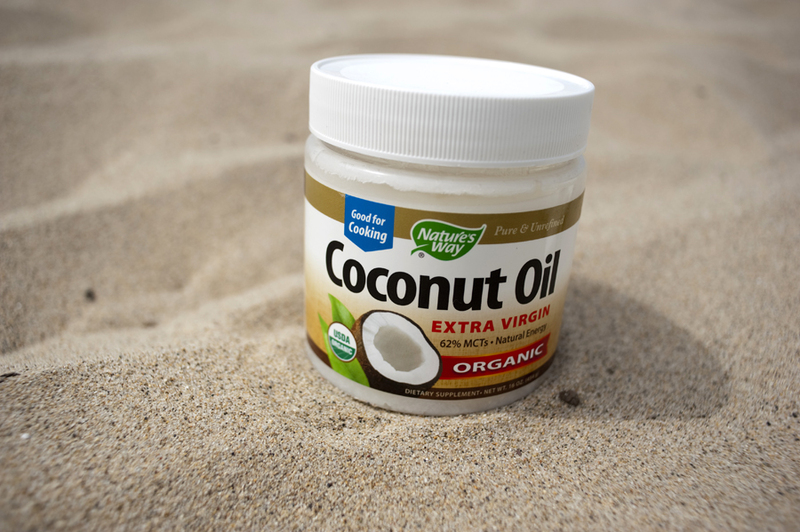 What are your favorite ways to use coconut oil? This is Great thank you!!! !